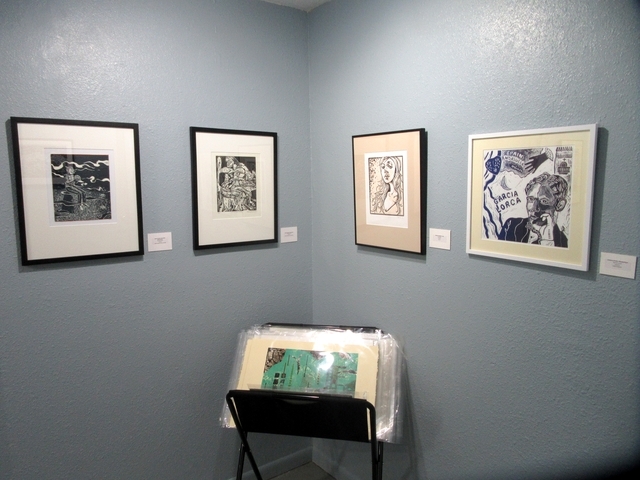 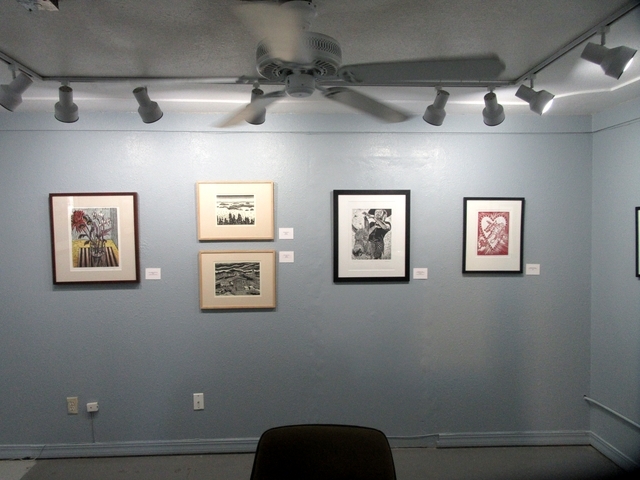 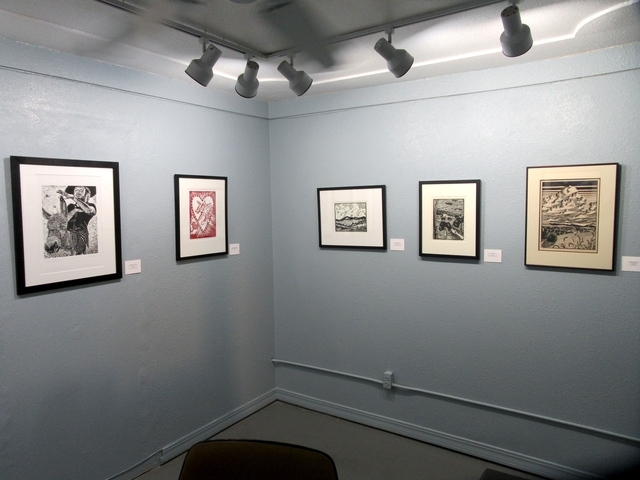 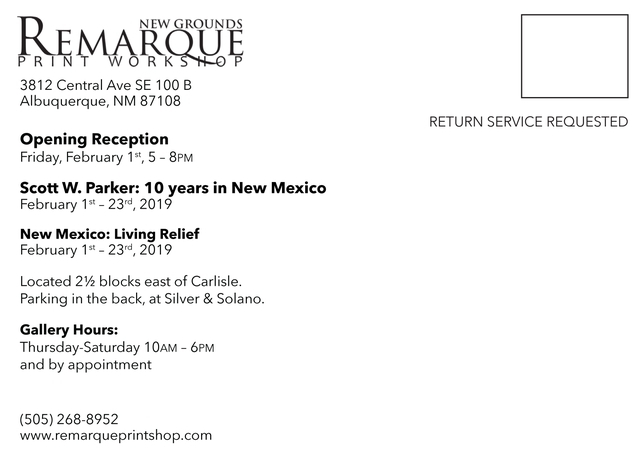 These are the relief prints in the exhibition -- New Mexico: Living Relief -- at Remarque Gallery during the month of February, 2019. 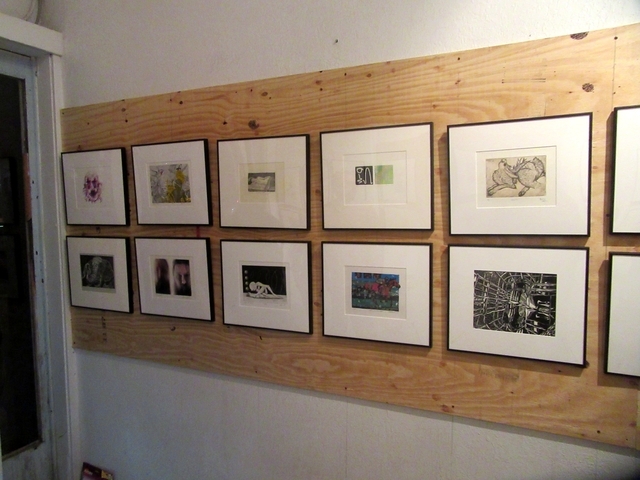 Our exhibition is in the smaller gallery. 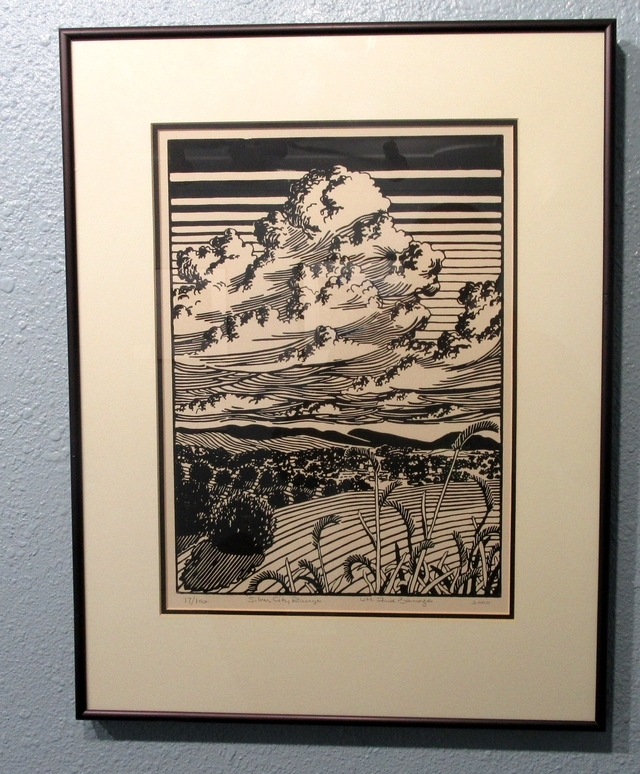 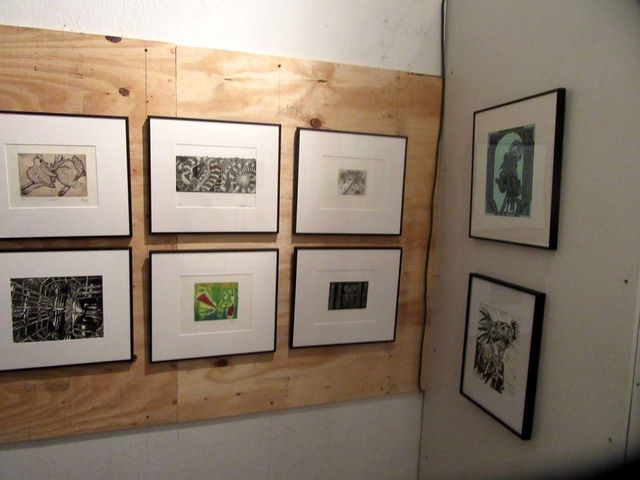 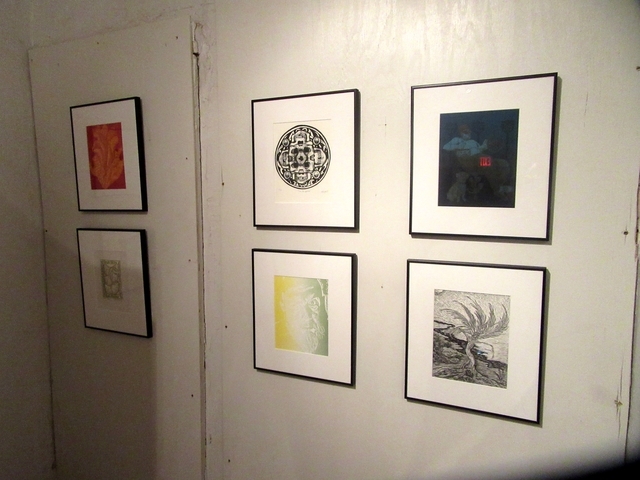 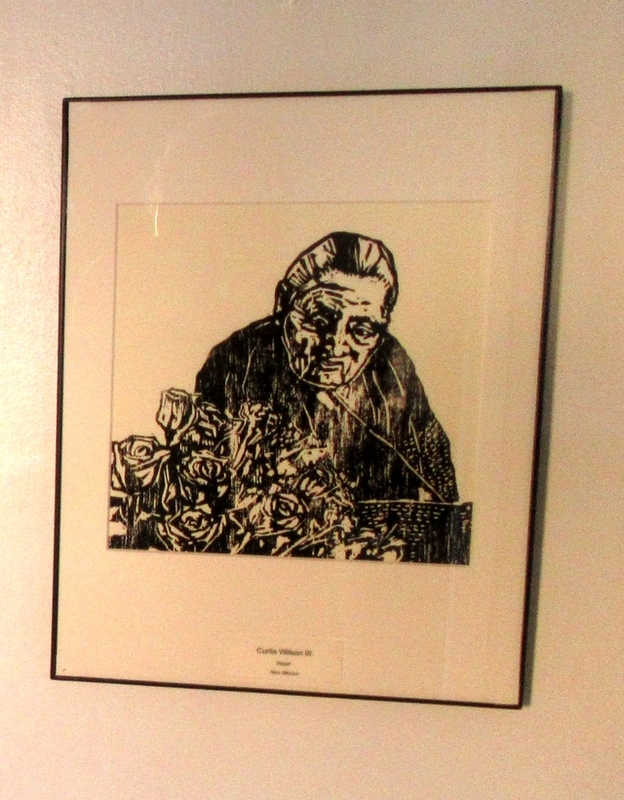 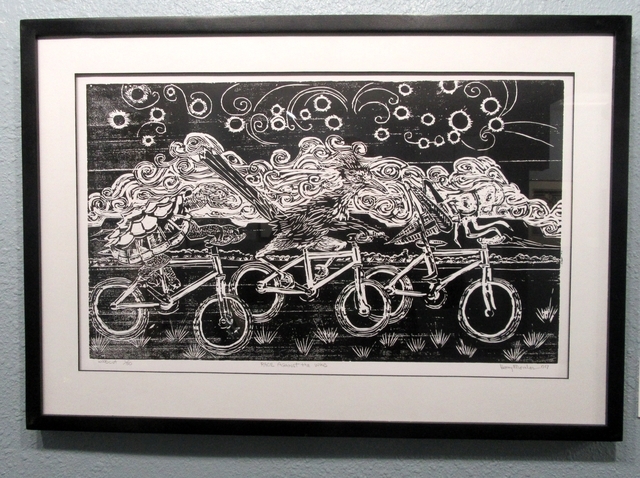 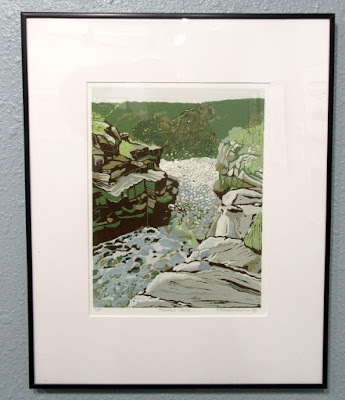 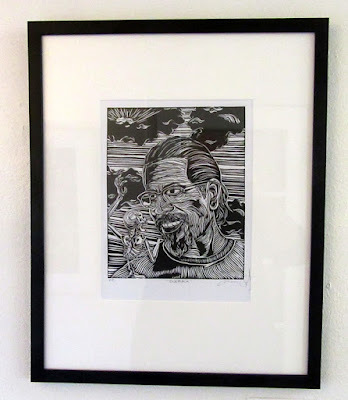 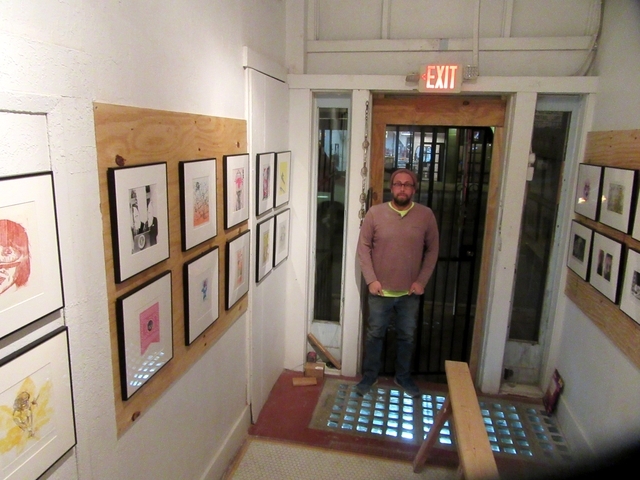 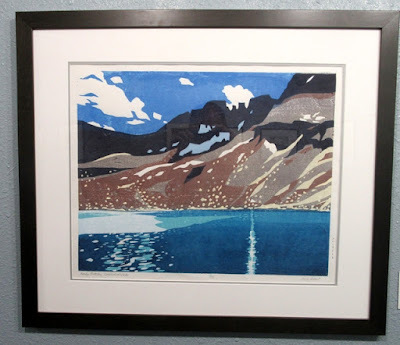 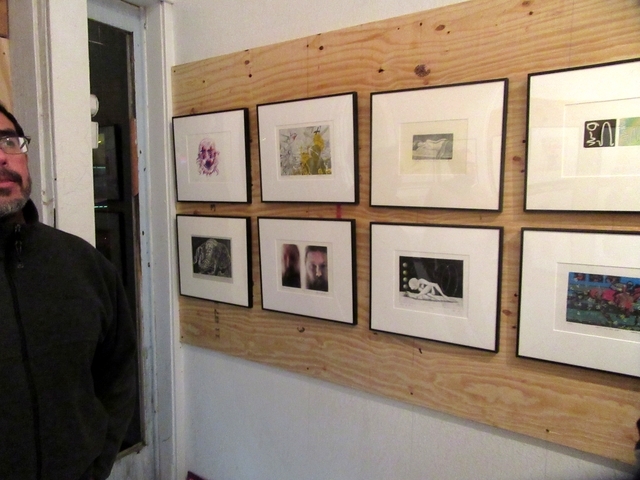 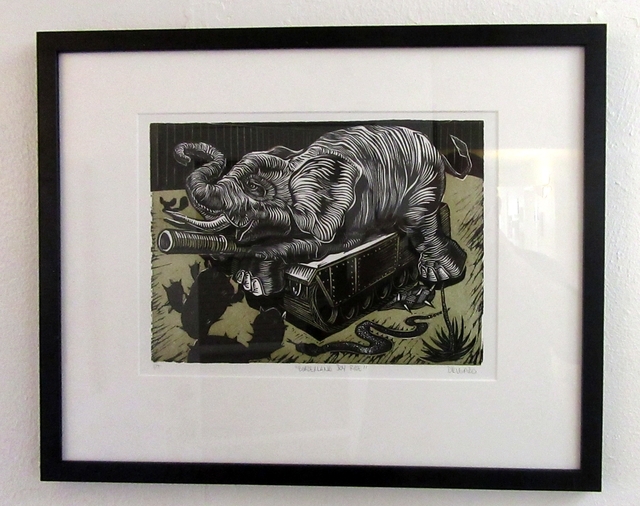 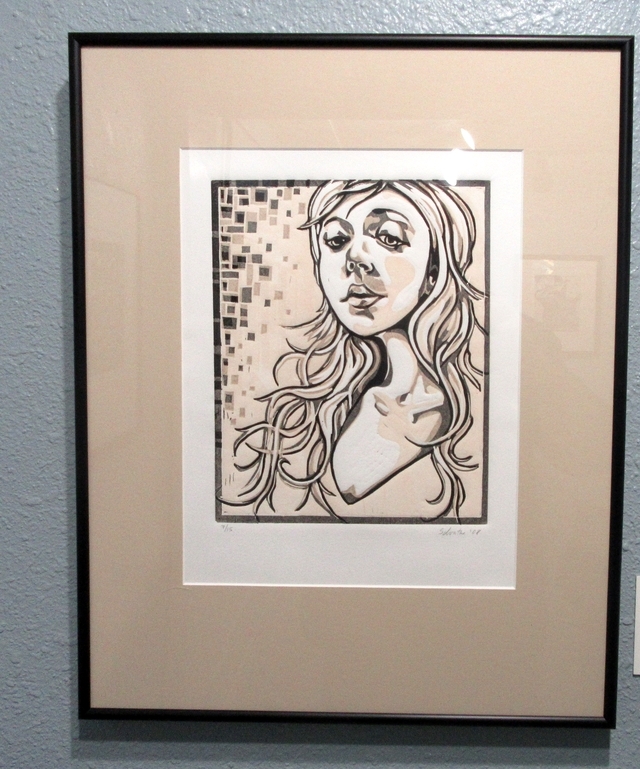 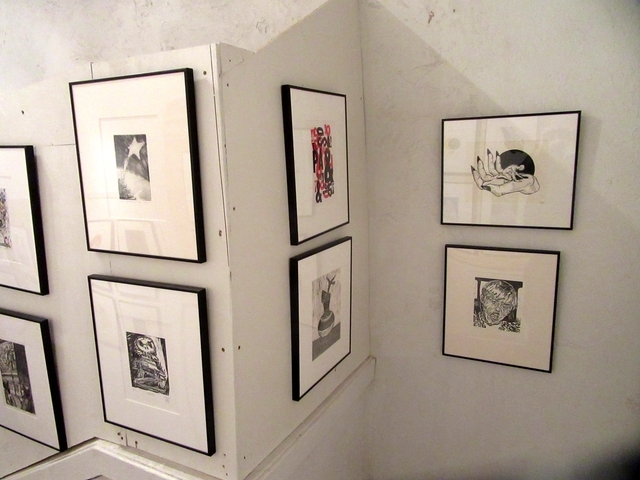 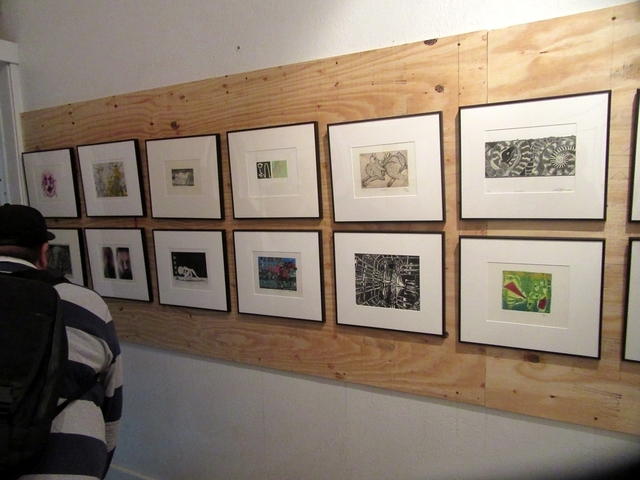 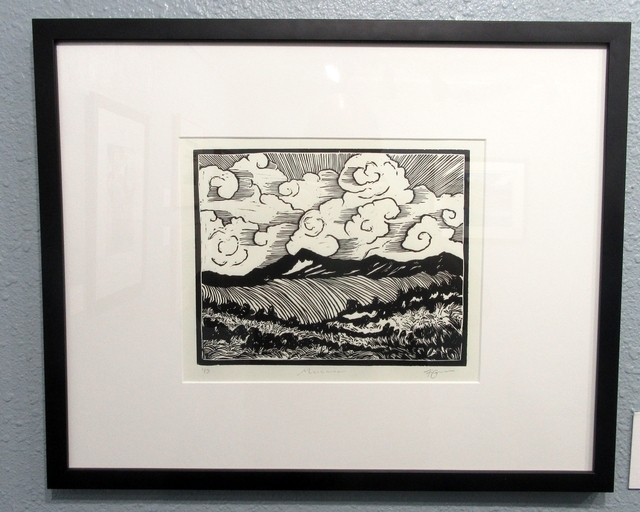 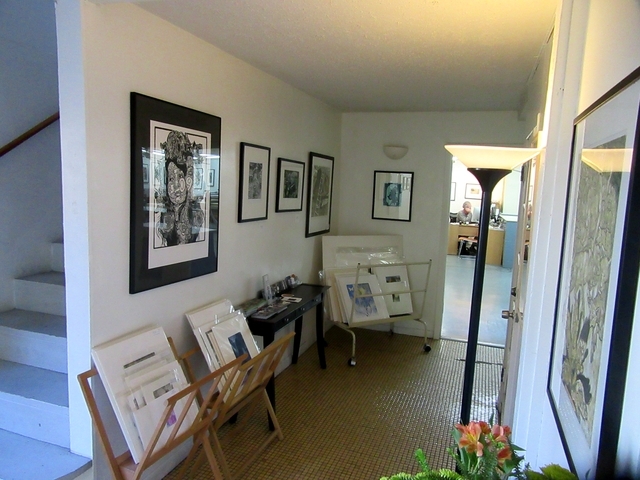 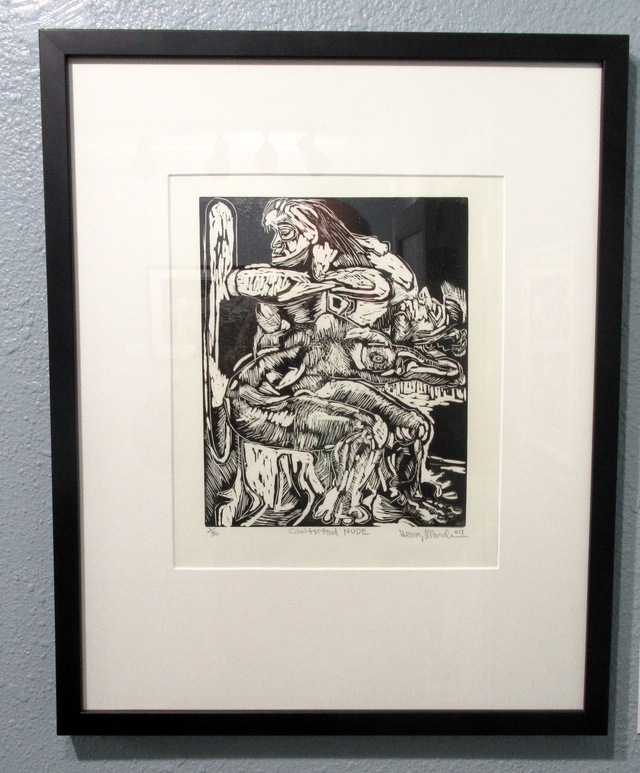 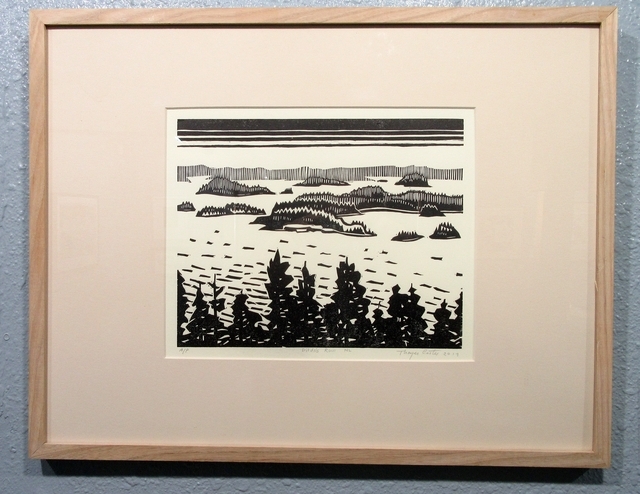 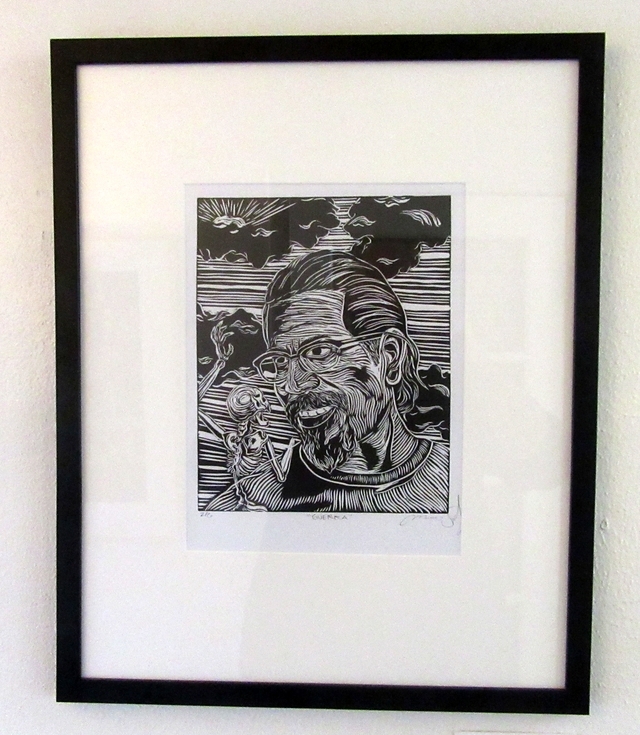 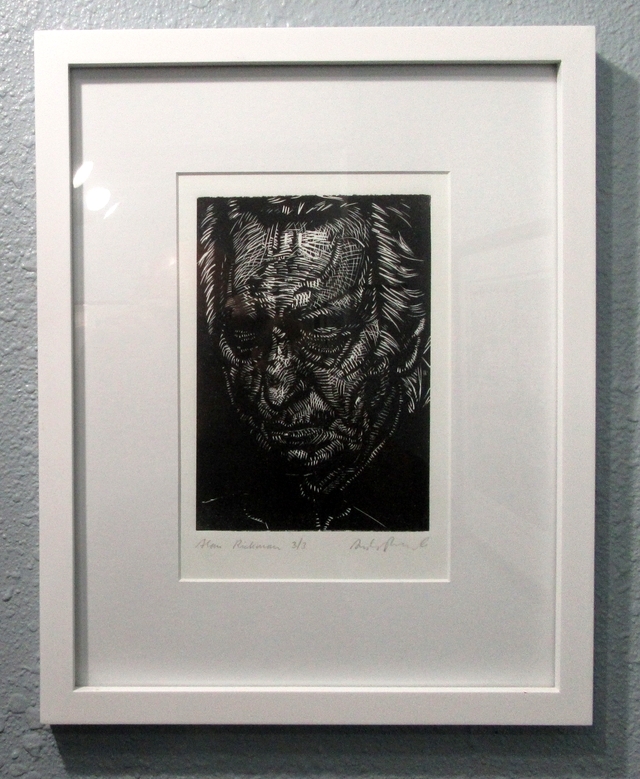 In the main gallery is a solo show of the relief prints of Scott Parker. "Flight or Flight? 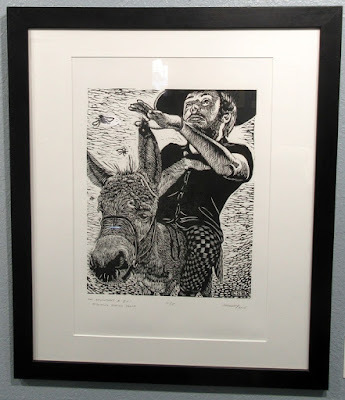 Worst Valentine"
"The Adventures of J.C.: Becoming Sancho Panza"
El Paso is just across the border, and some of it's suburbs are in New Mexico. Moreover, El Paso was capital of New Mexico in 1680, during the Pueblo Indian Revolt. 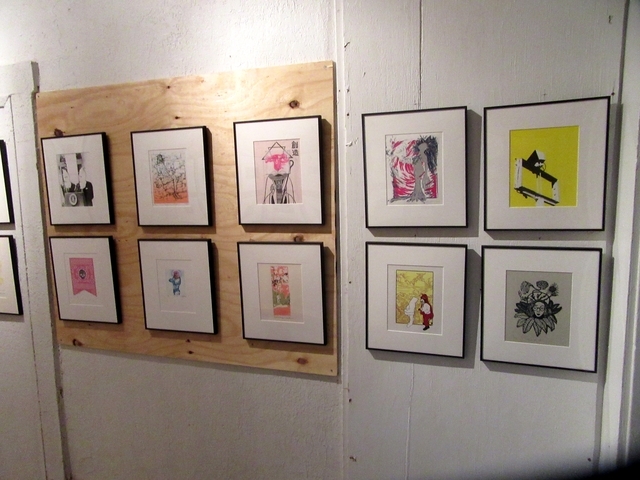 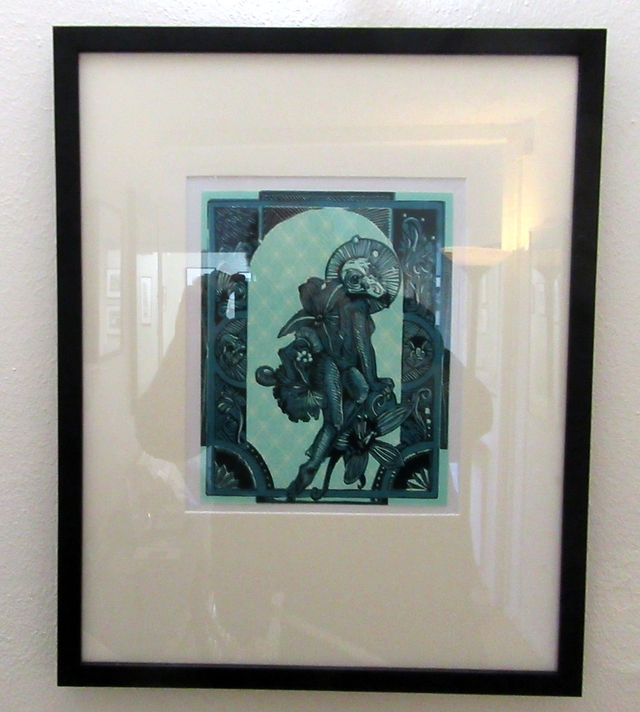 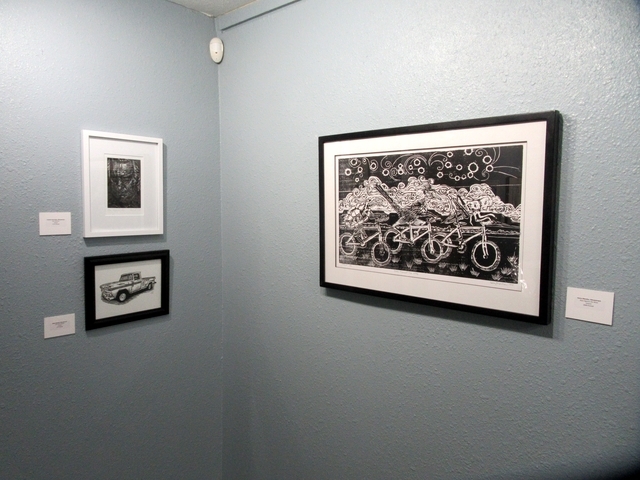 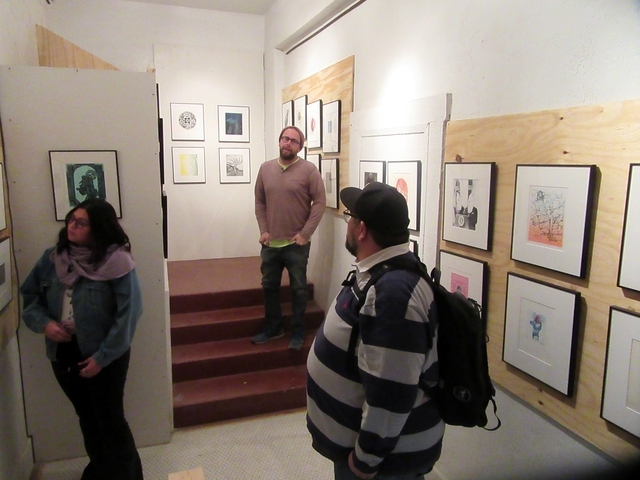 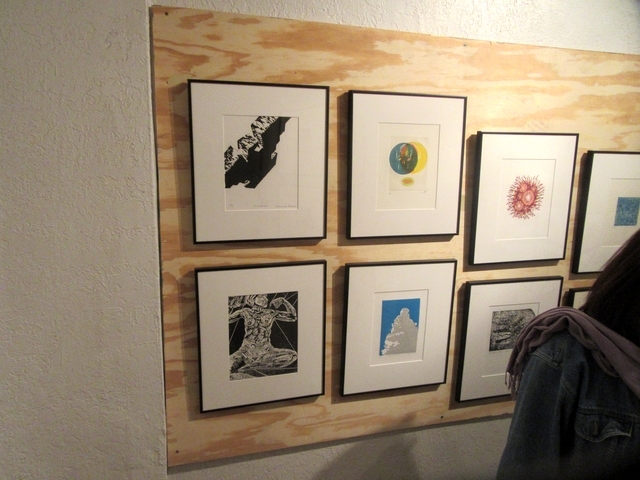 So we included some relief prints by El Paso artists in the hallway. 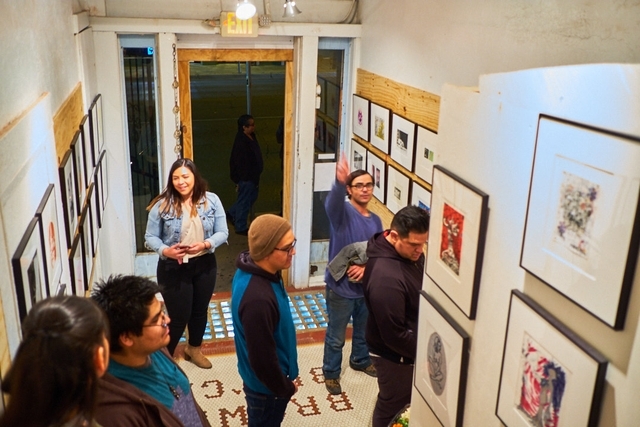 Also in Mountain Time, El Paso often seems more culturally related to New Mexico than to Texas. 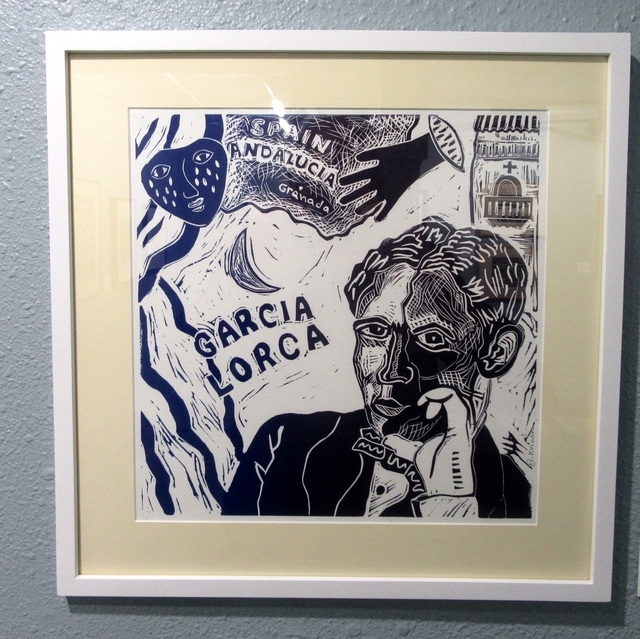 "Estas Como Un Pajarito Muerto"
The print fever momentum takes us next to Dallas Texas. 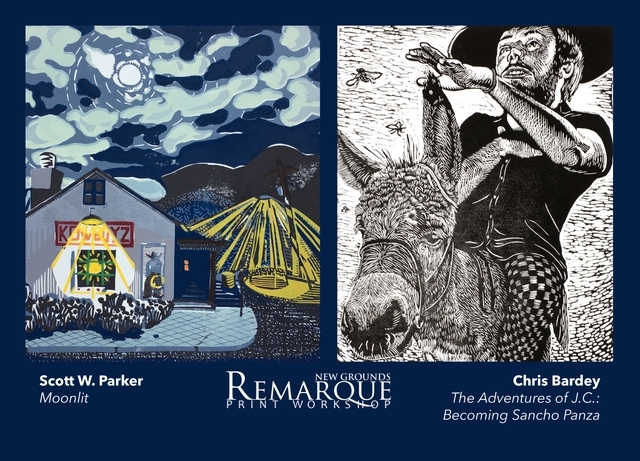 Some of the printmakers in this relief exhibition are also part of the Ambos Lados International Print Exchange, which will be exhibited at the University of Texas at Arlington during the big SGCI print conference in March. 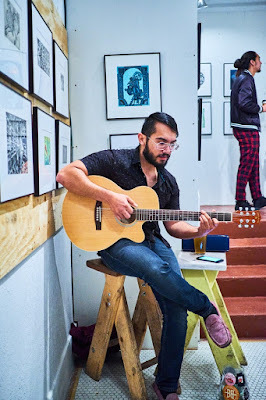 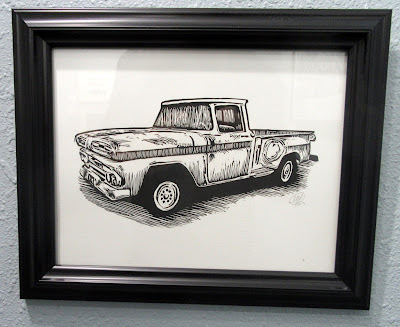 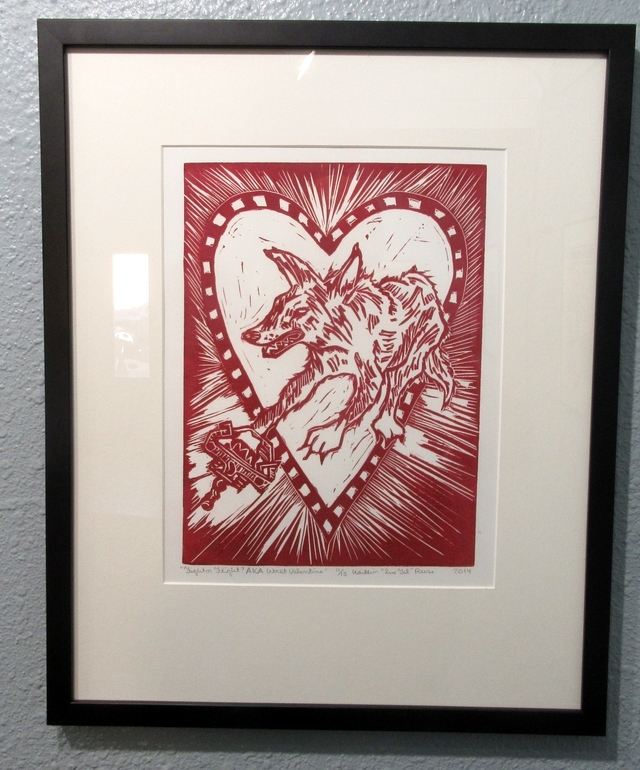 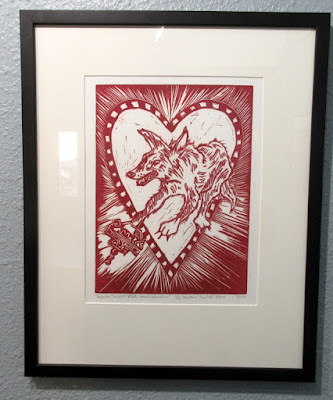 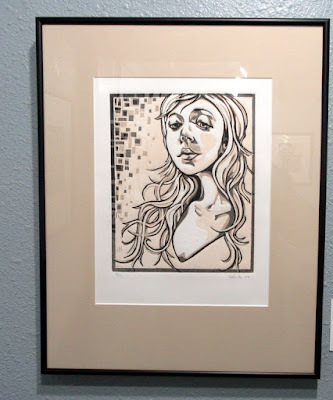 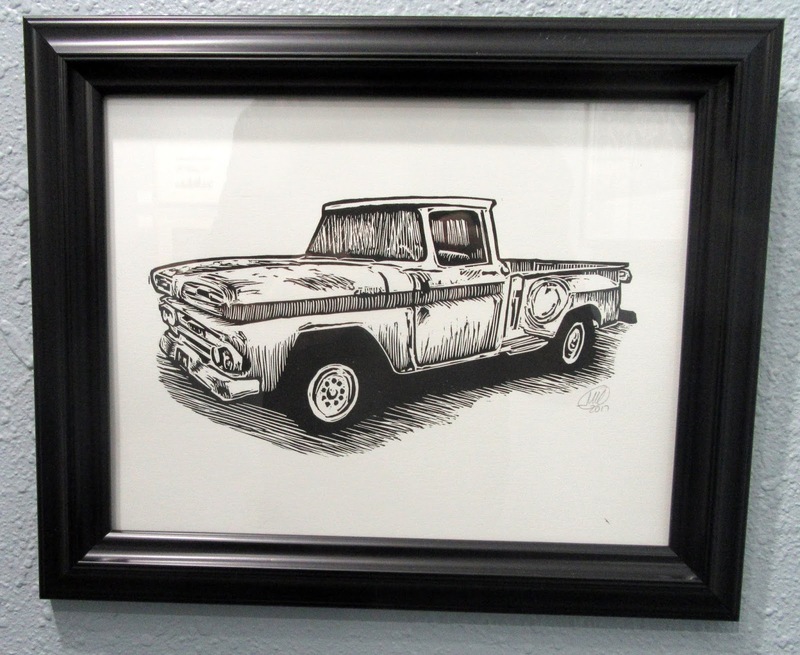 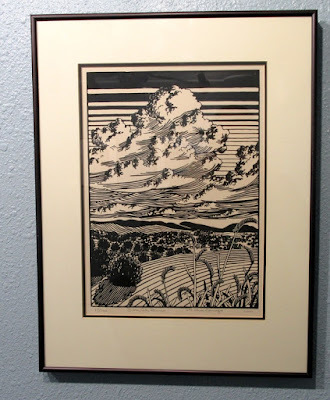 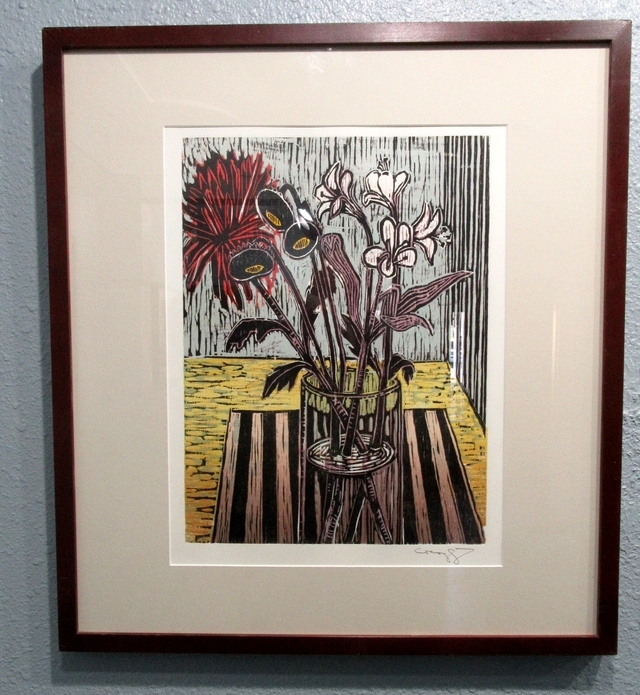 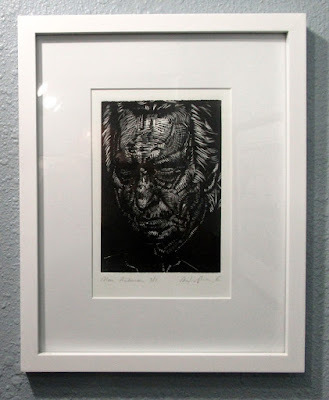 Therefore we are exhibiting a woodcut by New Mexico artist Curtis Wilson III, just during the opening night, because his is one of 158 prints in Ambos Lados. Krrrl is co-curating, with Mary Sundstrom, the exhibition "New Mexico: Living Relief" at Remarque/New Grounds Print Workshop in Albuquerque. 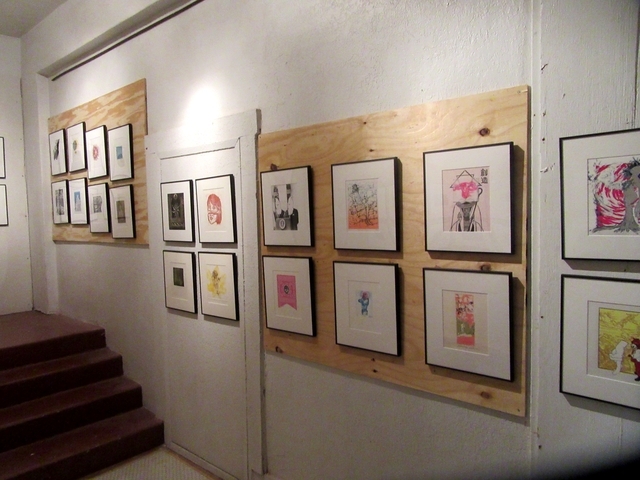 Opening on February 1st, 5 - 8 PM. 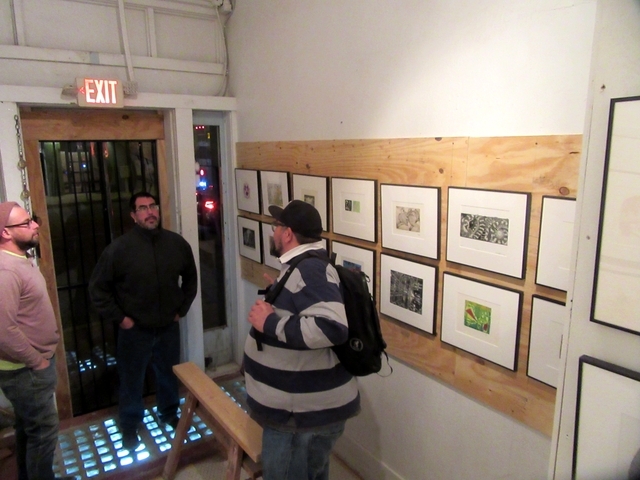 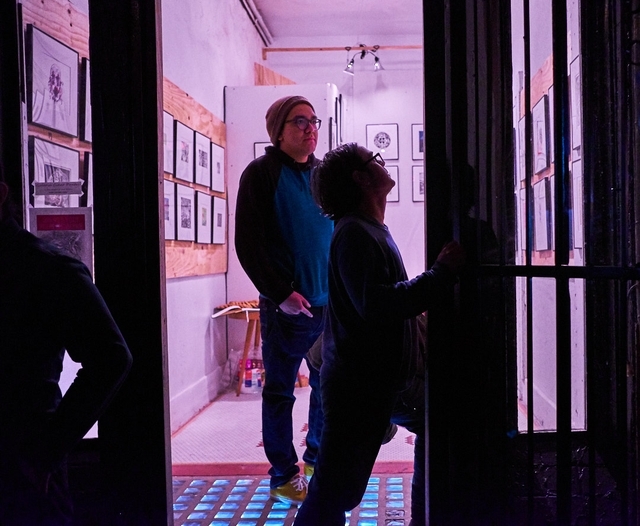 Henry Morales and Chris Bardey from the Desert Triangle are featured in this exhibition. 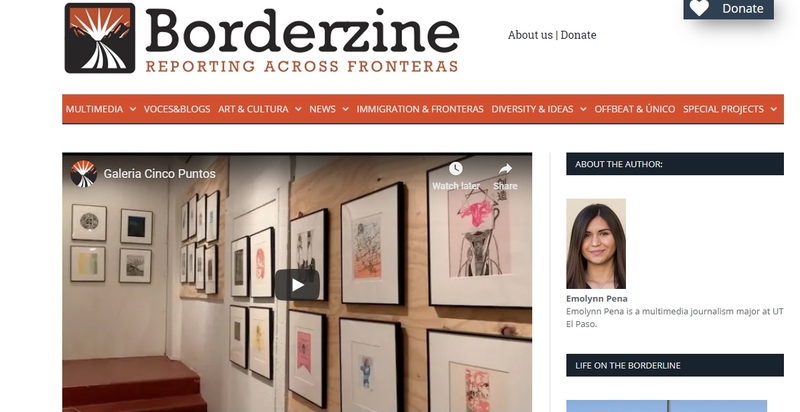 We will also probably included Raul Monarrez and Francisco Delgado, from El Paso, just across the line. 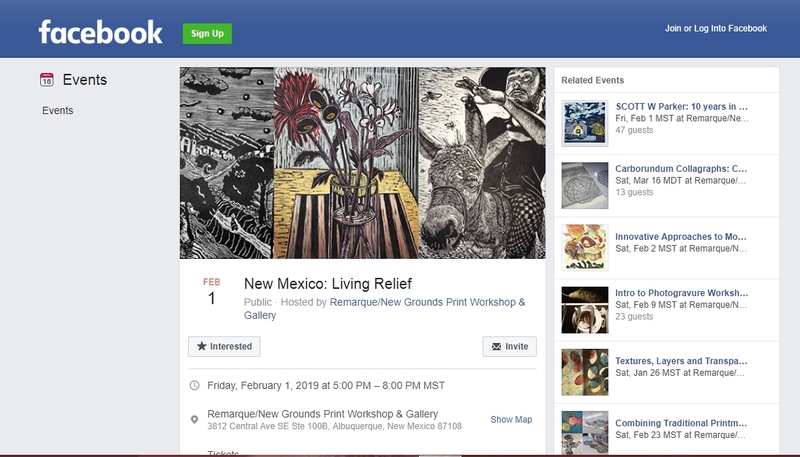 "New Mexico: Living Relief" is an exhibition of contemporary artists of our region dedicated to relief printmaking, including those working in the southern part of our state. 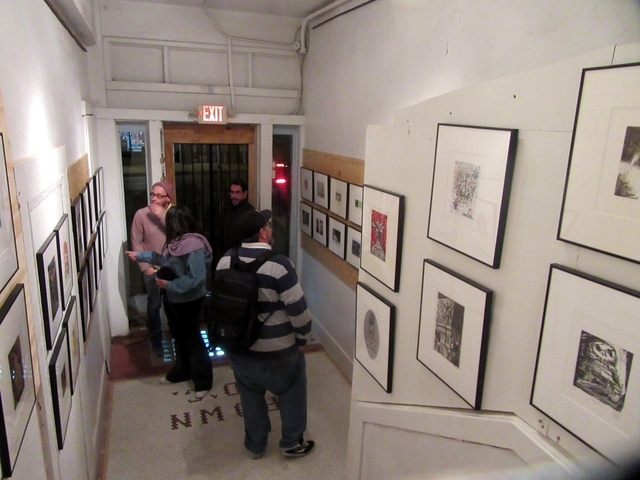 From below the 34th latitude are prints from Fred Barraza, Phillip Parotti, and Chris Bardey, all of whom were prominent in Silver City during last year's Southwest Print Fiesta. 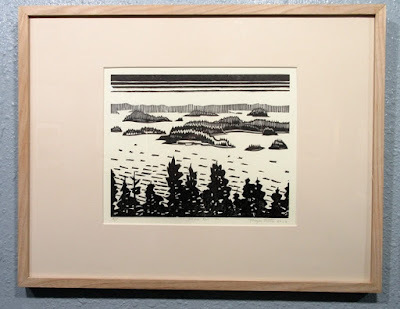 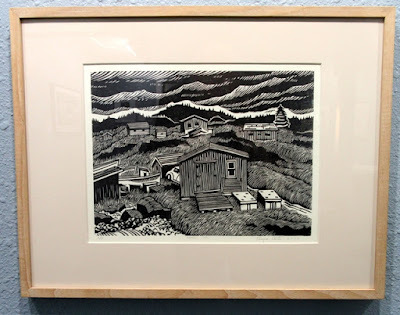 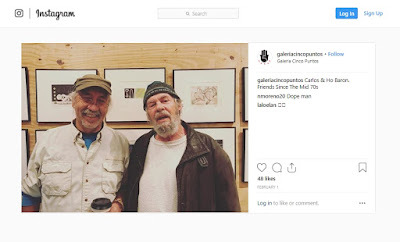 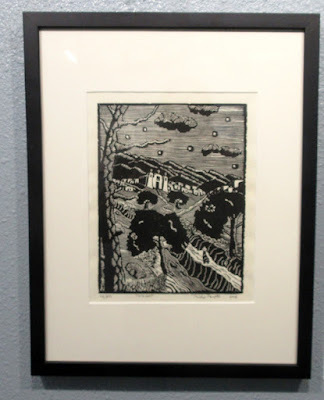 This show also follows the relief exhibition at the Albuquerque Museum last year -- "The Carved Line: Block Printmaking in New Mexico" -- which was organized in part by Santa Fe printmaker Scott Parker, who is having a solo show in the main gallery. 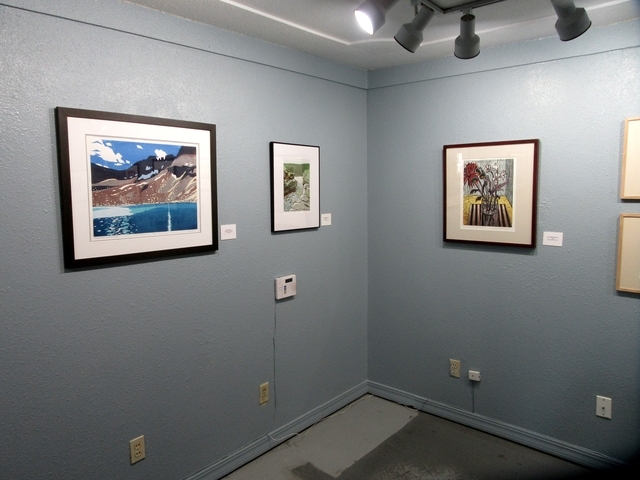 Albuquerque and Santa Fe artists featured include Henry Morales, Mary Sweet, Jan Vanderburg, Mike Kimball, and Karsten Creightney. 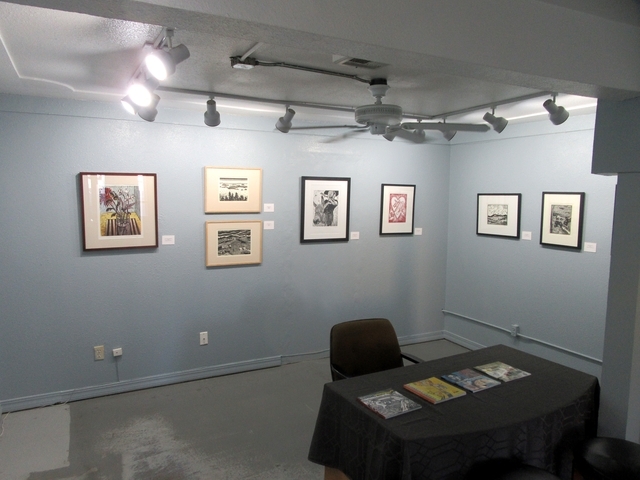 Since prints travel easily, they can readily showcase the creative pulse in the greater New Mexico province as a whole. 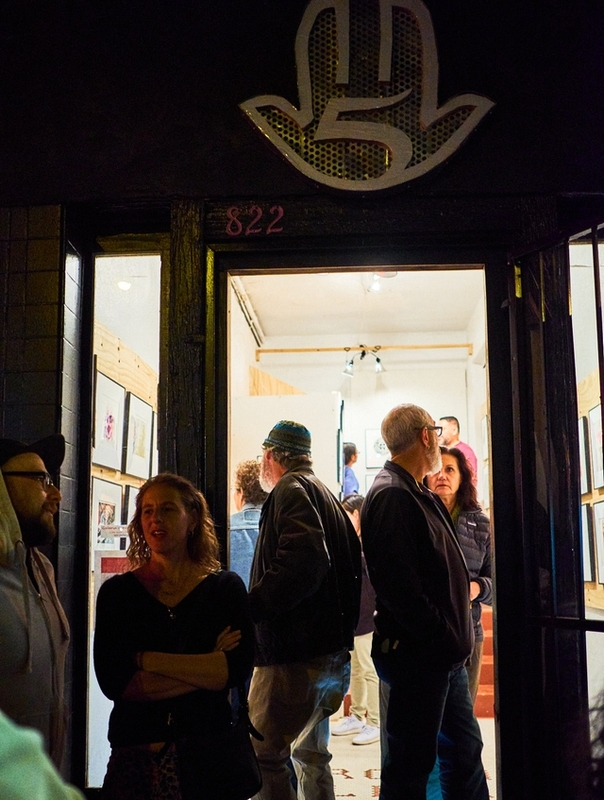 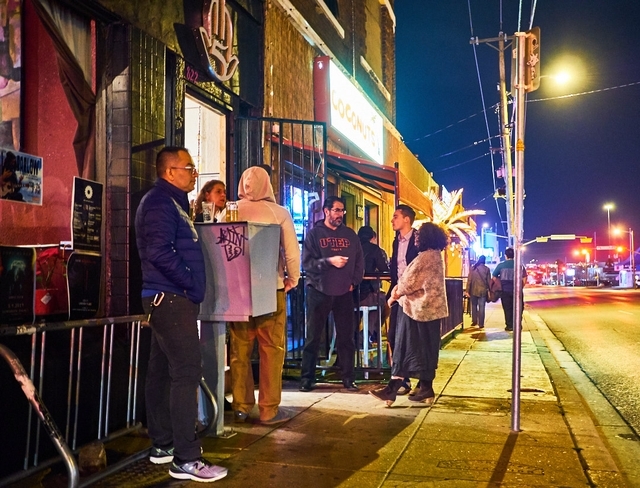 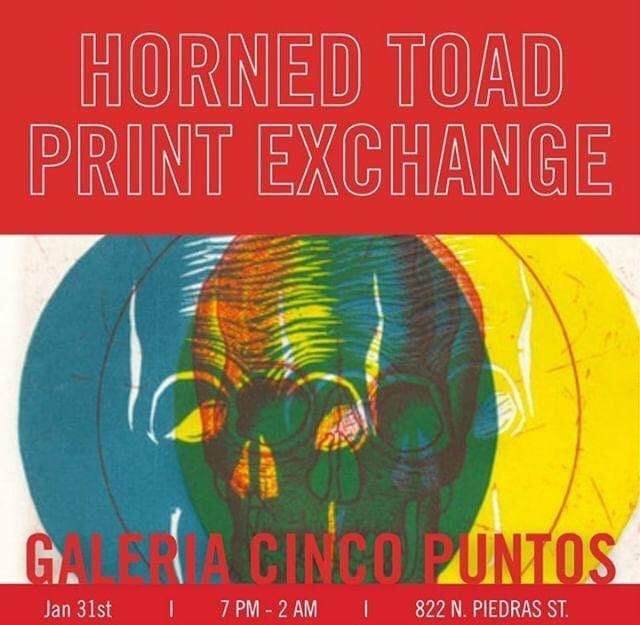 The Horned Toad II Print Exchange is currently hanging at Galeria Cinco Puntos in El Paso, right next to Joe Vinny and Bronsons Bohemian Cafe (JVBs), 824 N Piedras St in El Paso. 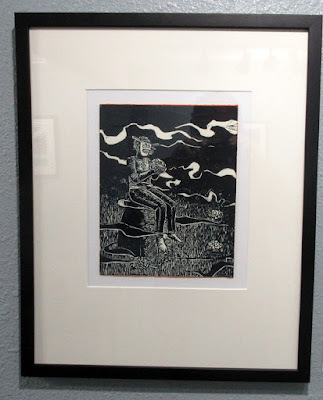 It is up for the month of Janauary, 2019.